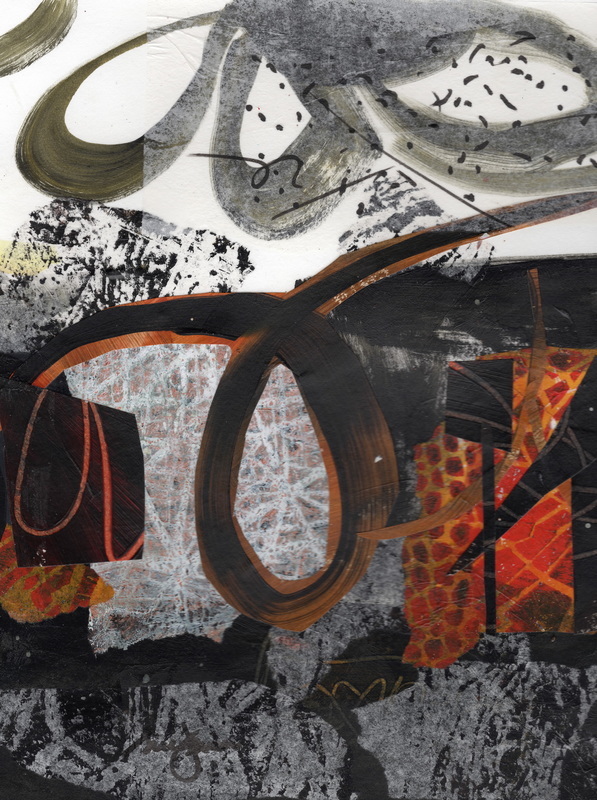 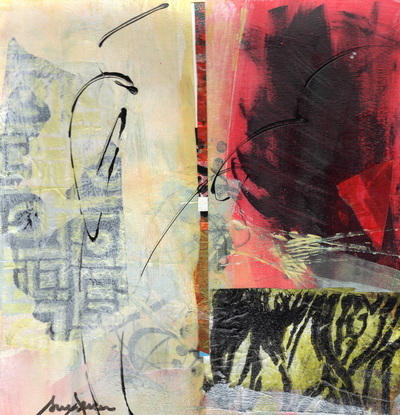 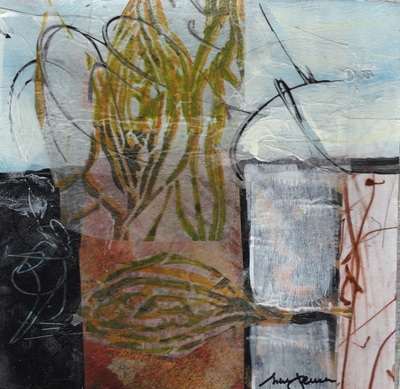 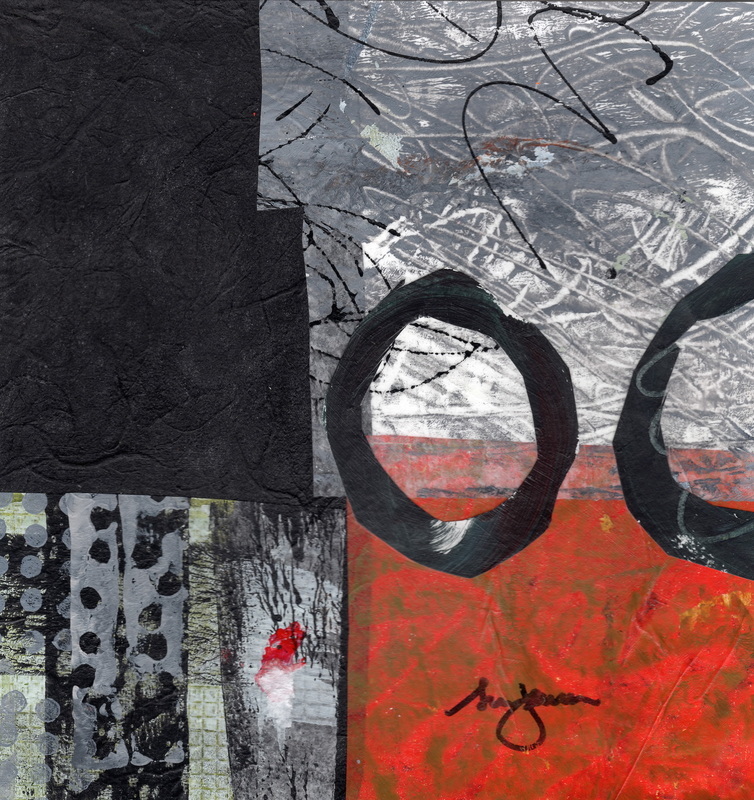 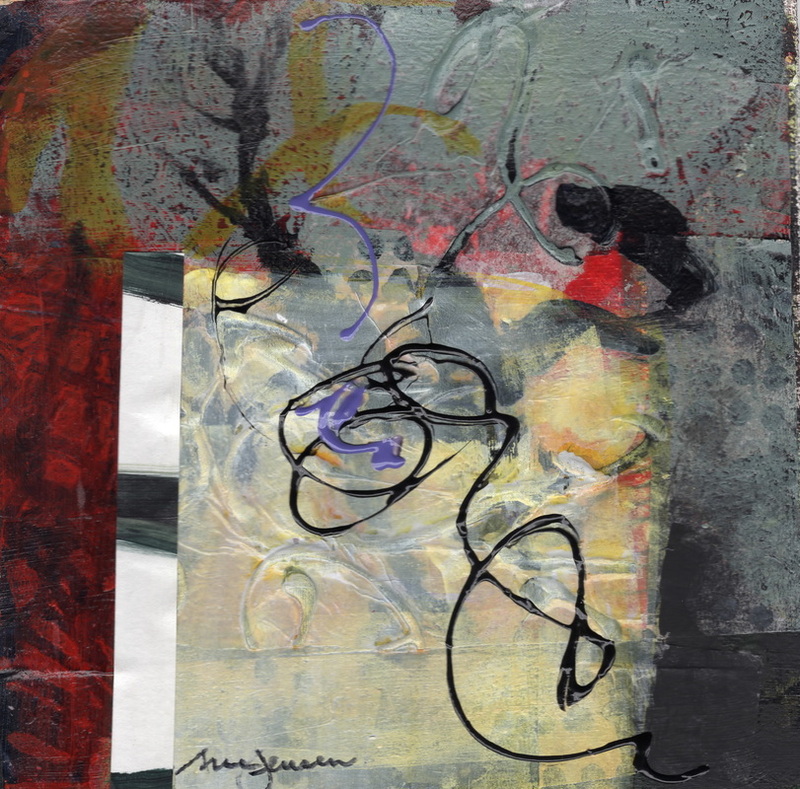 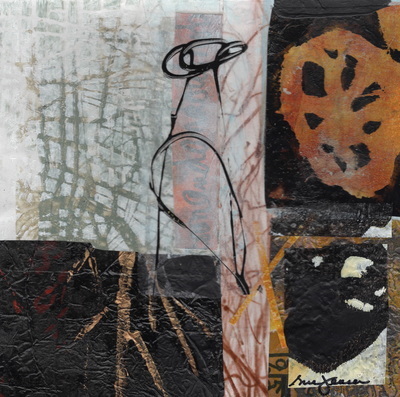 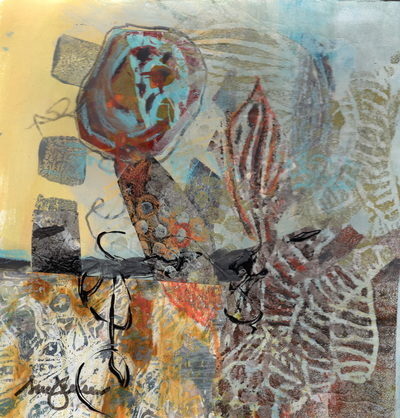 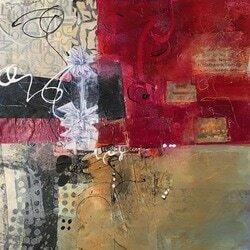 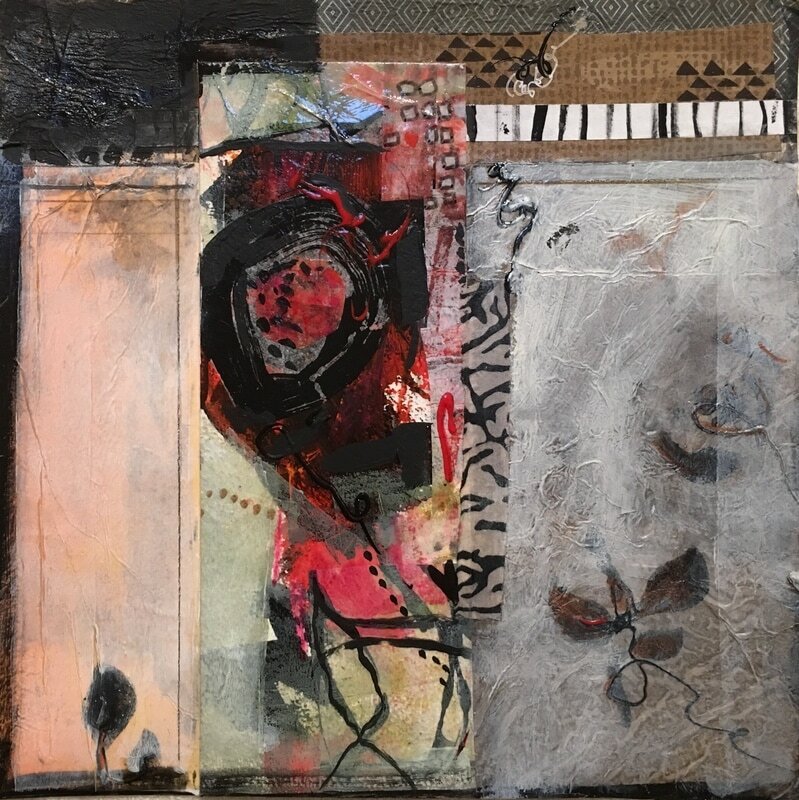 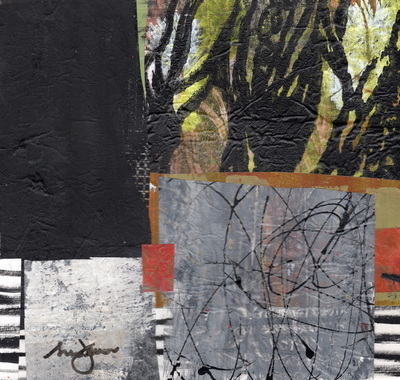 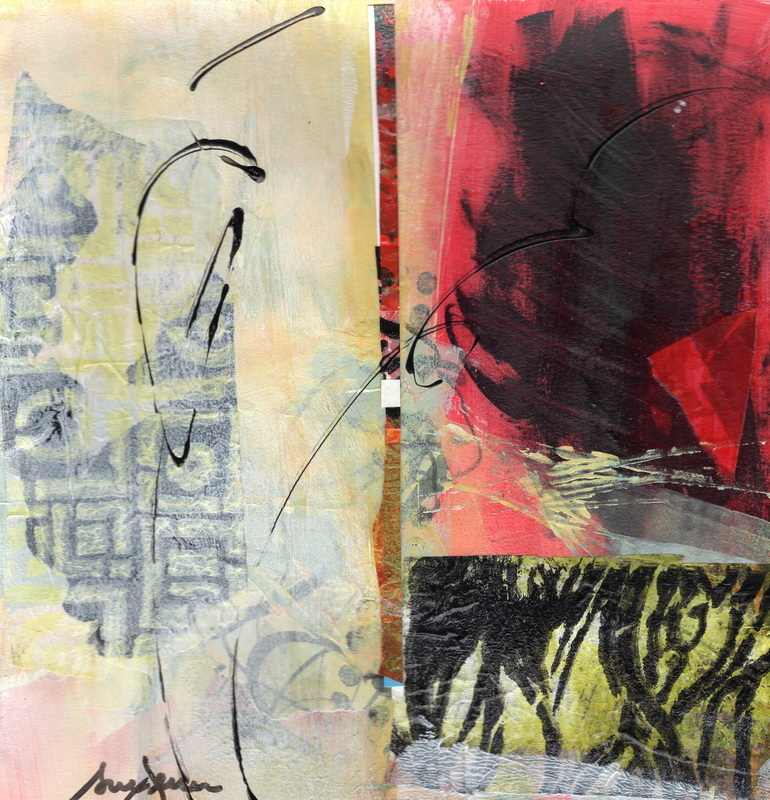 Collages-Emphasis on acrylic collage with handmade collage papers. These collages are meant to be abstract. 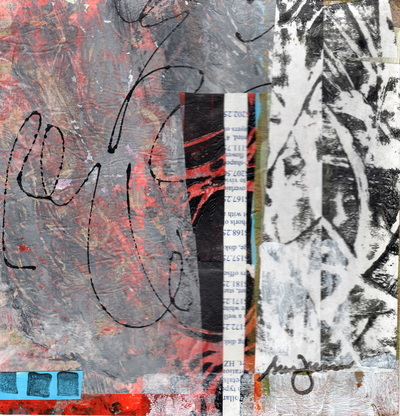 All papers are made beforehand through various processes of blocking, printing, stenciling, painting. Then the building begins, relying on compositional instincts honed from 30 years of painting!